At the risk of too much tooting, I'd like to point out the Poetry Back in the Woods reading, at the Shaker Heights Library, Bertram Woods Branch, coming up this Thursday at 7pm. It'll be featuring some fine poets, namely Joshua Gage, J.E. Stanley, Mary Turzillo, and dan smith. Plus possibly a surprise reader as well. the series was started eleven years ago by poet, college teacher, and environmental activist Barry Zucker. After starting the readings at the Bertram Woods library--"Poetry in the Woods"-- the series also included readings at Horseshoe Lake Park ("Poetry Really in the Woods") and readings at the Main Library ("Poetry Not in the Woods.") The series is funded by the Friends of the Shaker Library and, now that it's back at Bertram Woods, it's (what else?) "Poetry Back in the Woods." For a long time I've wanted to compile a somewhat comprehensive listing of active Ohio poetry publishers. For now I'm focusing on print (rather than purely online) publishing, and admittedly some of the following are more active than others. But here's what I've come up with off the top of my head. The list is woefully incomplete, I know, and I'm certain I'll think of a few more to add as soon as I hit the "Publish" button, but I hope you'll help me fill in as many of the missing Ohio poetry presses as possible. Thank you! 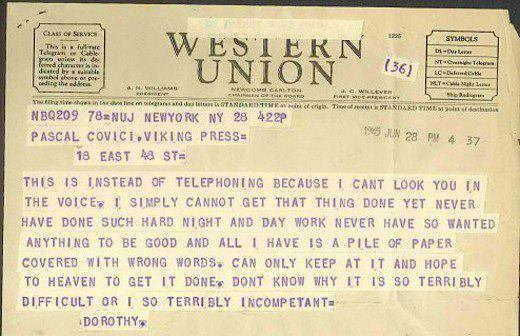 "...all I have is a pile of paper covered with wrong words. Can only keep at it and hope..."
In a recent conversation on poetry, one poet told me that community is "absolutely necessary" to her creative process. She was specifically speaking about a close group of a few fellow writers, but since that conversation, I've been mulling over the concept of a poetry "community." Anyone relatively active in poetry readings in Northeast Ohio would confirm the presence of a poetry "community" in the Cleveland area, and many who attend readings regularly would also probably attest to the importance of such a community. But I'm wondering exactly what aspect (or aspects) of "community" poets feel is necessary to the creative process. Open mics and regular readings provide an open forum, but doesn't "community" imply more than that. More formalized groups with paid memberships--like the lately departed Lit--provide workshops, classes, and regular publications, but many of those groups seem to be struggling, or like The-Lit, going under. It's easy to blame it on the economy--people don't have the money to pay for writing association memberships right now. But I have to wonder if such groups might also be going under because they're becoming obsolete, no longer meeting the needs of poets in 2012. So now I'm wondering if you would pay for membership in a poetry organization, and what perks you consider to be worth the price of a paid membership. Or do informal gatherings provide you with everything you feel you need in a creative community for free? I don't know if I'm jealous of these young women for having Oprah's glitter dust scattered their way, or upset that they had to use their bodies, not their words, to obtain said glitter dust, but either way, I think it says something about our culture when the only way poets can receive attention is by modelling clothes well outside the salaries of most poets.